1. Make your playlist now. 90s throwbacks? Marvin Gaye? John Phillip Sousa? Whatever your style, start compiling your party’s mix sooner, not later. Great things take time—and collaboration—so get started now and tweak the tunes throughout the week. We like the hamburger method: start with the bun, the songs that set the mood. Next comes the burger patty itself: classic crowd-pleasers, back to back. The lettuce and ketchup are the filler songs that provide cohesion throughout the party. Throw in some curveballs—the bacon or the fried egg of the burger, if you will—and finish with another mood-setter, the satisfying bottom bun. Plan ahead and pick easy, yummy recipes for your Fourth of July celebrations. Try choosing make-ahead options without complicated ingredients/cooking instructions to make the day easier. Knowing your menu a week in advance can also help you plan your grocery shopping around the mobs of stressed holiday shoppers. 3. Buy the easy stuff. You know you’re serving on plastic/paper? Great. Go get that, stat. You know the cocktails (or mocktails) you’re making already? Alcohol and mixers/drink garnishes won’t expire in the week before your party. Get those this weekend, and avoid the liquor stores and beer distributors on the 4th. Your family is already asking about your famous bean dip or pasta salad? Excellent. You can buy non-perishables like beans and pasta this weekend and cut down on the time you’ll spend in the store getting the fresher stuff later in the week. If you’re okay with outsourcing some of the dishes you’ll be serving, know which ones and where they’re coming from. If your sister makes great desserts, ask her ASAP if she’s willing to bring something over to your party. Know where you’re getting it and how much you’ll need so you can order ahead! Early planners are the best hosts! 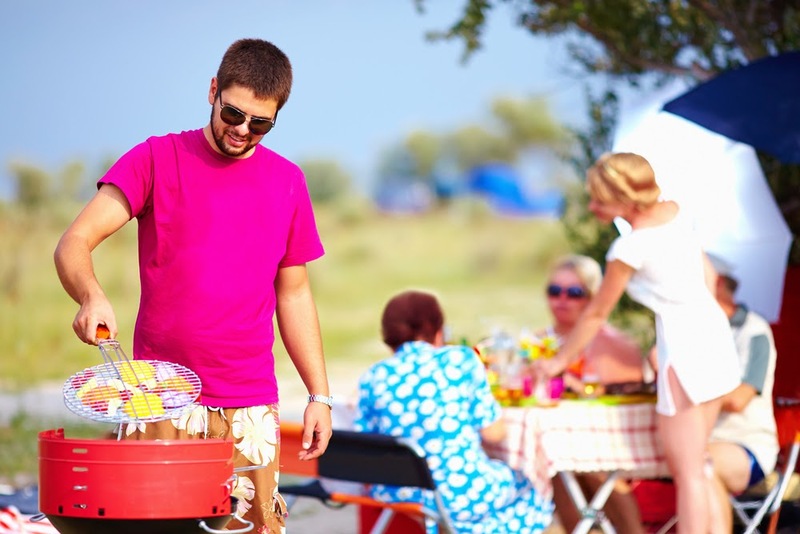 Get prepping now so you can really enjoy hosting your Fourth of July!